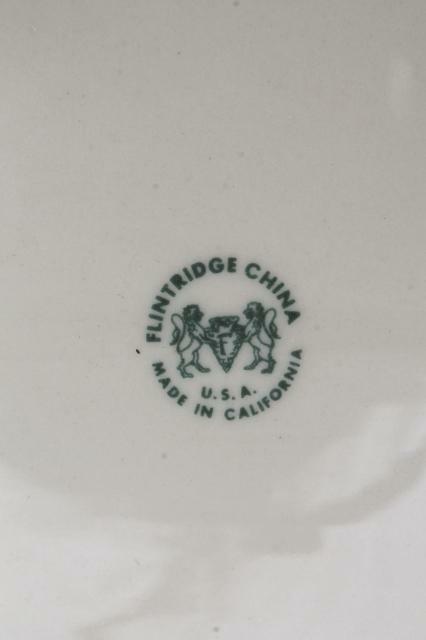 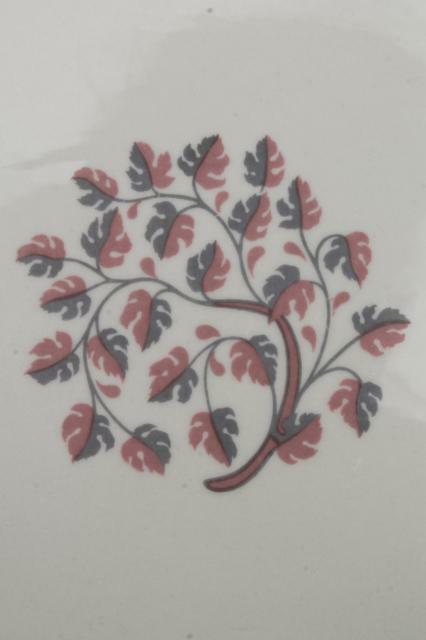 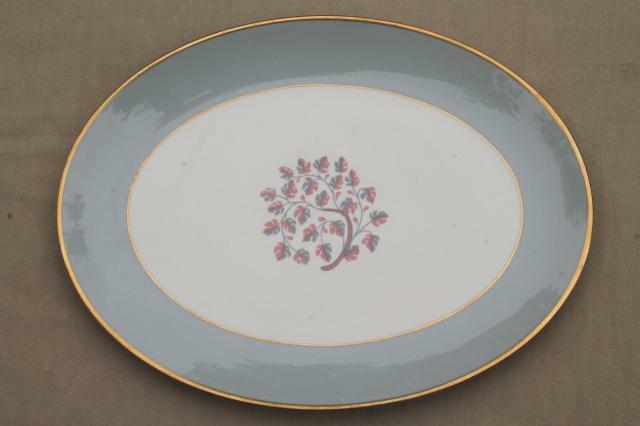 60s vintage Flintridge china in the Twilight pattern, grey and pink. 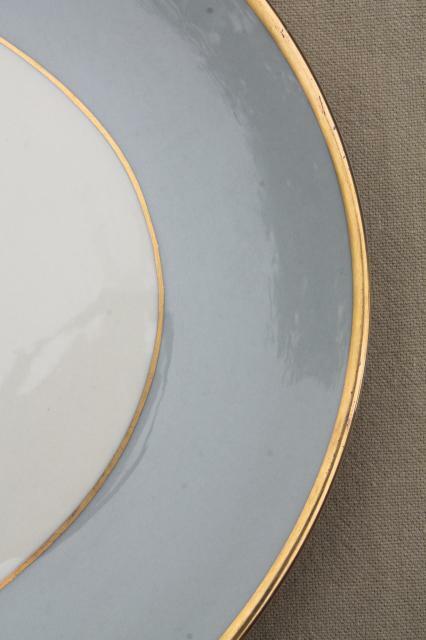 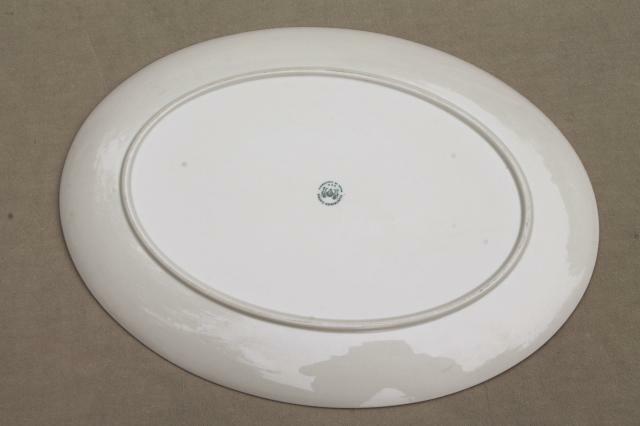 This is lovely, a creamy ivory color like many old Lenox china patterns. 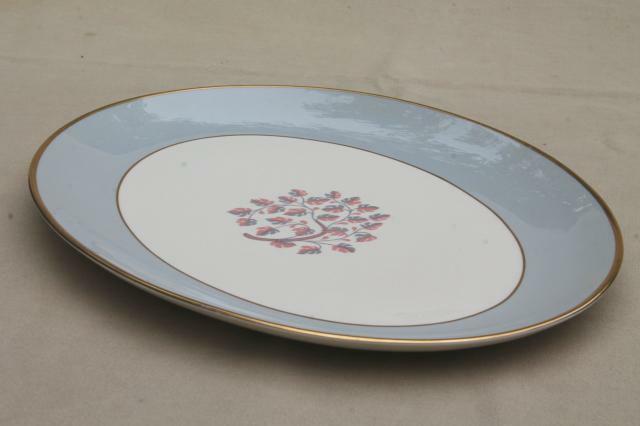 This lot is the 14" long platter in excellent condition without chips or wear.